Can You Enter Canada with an Assault Charge? Potential travelers to Canada do not always realize that a prior assault arrest or conviction may render a person criminally inadmissible to Canada and cause them to be rejected by border agents. Regardless of whether or not the offense was classified as a felony or a misdemeanor, any American with an arrest or conviction for assault may be considered inadmissible to Canada if the crime is equivalent to a hybrid or indictable offense under Canadian law. The Canadian border is notoriously strict, and prospective visitors with a criminal history that involves violence in any way can face particularly harsh scrutiny from immigration officials. Even if a person has been arrested for assault (including domestic battery or domestic violence) and is currently waiting for trial, they still risk being refused by Canadian immigration officials since the border treats pending criminal charges essentially the same as a conviction. 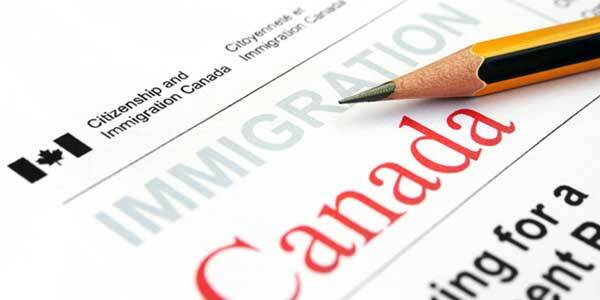 To overcome criminal inadmissibility in order to visit Canada with an assault record, a person needs a Canada Temporary Resident Permit (TRP) or Permanent Rehabilitation. Even if the conviction is only for a single DV incident and is not considered a serious offense, such as misdemeanor common assault not causing bodily injury, it can render a person inadmissible to Canada for life. Under Canadian law, Deemed Rehabilitation after ten years is not possible if an offense involved "physical harm to any person." Consequently, most convictions for assault or domestic violence, even if the domestic dispute was very minor, can put the person at risk of being denied entry to Canada forever unless they overcome their inadmissibility by obtaining a TRP or undergoing Rehabilitation. If you are interested in going to Canada but have domestic violence, criminal harassment, or an assault conviction on your criminal record, or are facing pending criminal charges for any of these crimes, phone us today for a free consultation. Various states use different terminology for their domestic violence laws. In Montana, a person could be charged with Partner or Family Member Assault (PFMA), while in New York the crime could be called Spousal Abuse. Whether the offense is classified as simple assault, verbal assault, felonious assault, aggravated assault, domestic battery, or domestic violence, the exact term used does not necessarily matter it is the equivalent crime in Canada that will determine the impact at the border. There are also offenses in the United States that involve intimidation but may not actually involve physical violence, such as "terrorizing", that could potentially still equate to an assault offense in Canada. If applying for special permission to visit Canada, the details of the offense (was it self defense, was there strangulation, was anyone hurt, etc.) can play an important role in the applicant's likelihood of success. Attempted assault can still render a US citizen or resident inadmissible to Canada on the grounds of criminality, but may potentially qualify for Deemed Rehabilitation after ten years.